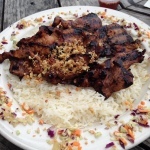 Located in the middle of the quiet town of Wheeler, Oregon the Tsunami Grill is one of the best options for lunch or dinner in the local area. Situated right on the Nehalem bay / river, they have seating options inside and out, with amazing views of the bay estuary. 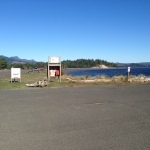 Wheeler is a small town in between Nehalem and Rockaway Beach, along the Oregon Coast highway. There are several antique shops in the town to browse with cool and unique stuff. 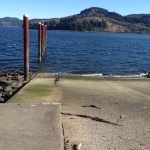 The public boat launch for the town of wheeler is next door and stays busy during the spring and fall salmon runs making for always something to watch when sitting out on the deck enjoying a cold one. 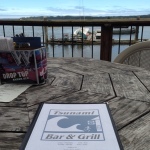 There is a good chance to watch an angler catch a chinook or coho salmon while eating out on the back deck overlooking the water as the Tsuanami Bar Grill is located right in front of a known fish holding spot. Serving traditional American favorites like a cheeseburgers and coast specialties like clam chowder make it a perfect fit for most groups. If you like Asian inspired food than certainly consider checking out the rice and BBQ pork dish, it is phenomenal and comes with a side of veggies. 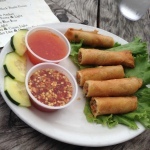 The spring rolls and spicy dipping sauce are a personal favorite, especially when you just need a little appetizer to snack on with a glass of beer or wine. 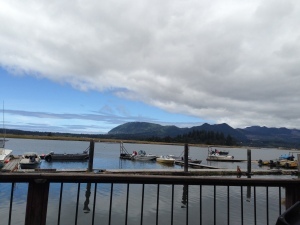 The pricing is reasonable for a place on the coast with a great view and good food. 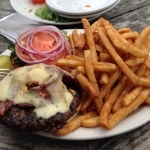 The service is excellent, always kept our drinks full and food came out at an acceptable pace. Grab a drink in the bar or sit out on the patio deck looking at the river and just relax. If you have driven along the Oregon coast highway between Manzanita and Cannon Beach then you have gone past the parking areas for Short Sand beach. 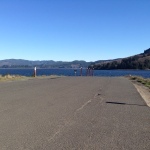 The parking lot is often filled with cars and so if you do not get here early in the day you will likely be parking off on the side of the road and walking back towards the head of the trail. A popular surfing cove is located at Short Sands beach and during optimal surfing weather and surf conditions, it can be one of the busiest places on the North Coast. Lots of surfers will be out riding the waves, but even more people will just be hanging out on the beach watching the action in the water. Despite all the visitors there are many trails and unless you are going to get in the water the extra traffic should not stop you from being able to enjoy this peaceful and beautiful place. There are several trails that branch off from the main path, so make sure to check out the trail maps near the parking lot and down near the beach before venturing off. 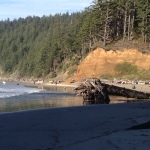 The creek that runs through the forestland along the trails is large enough that it splits off part of the beach. The main trail leads to the large section of the beach at the north section of the cove and will have more people. The Sitka Spruce trail heads over to connect with the South Beach access point and requires crossing over a cable bridge over a large creek. 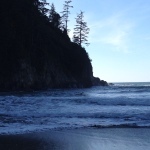 The south beach access puts you in the sand south of the creek so you can explore that side of the beach and view the impressive cliff that jut out into the ocean making the southern boundary of Short Sand beach. The various trails running through the forest are easy to moderate in difficulty, must due to the consistent moisture of the soil, good hiking shoes are a must as the trail can get muddy and slippery at certain places. 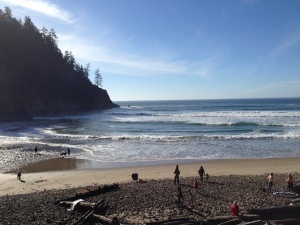 This is one of the most popular places to surf on the entire Oregon Coast, the cove is protected from lots of the weather on the coast and has the right underwater features that generate waves big enough for people to ride. 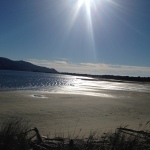 Due to the limited number of awesome spots to surf on the coast, Short Sand beach should not be your first choice if looking for a place to go surf perch fishing. While the fishing can be really good in the cove, you might not make many friends chucking large weights and hooks in between the surfers. 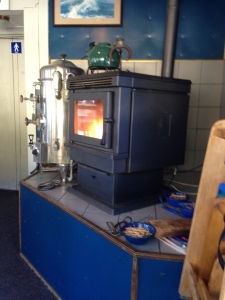 Located right on the Oregon coast highway in between Nehalem Oregon and the turn off to downtown Manzanita, the Bunk House restaurant is a cozy place to get breakfast, lunch, or, dinner. The decor is laid back with an obvious family friendly, local focus. During the cooler months the wood stove in the corner of the dining area is kicking out copious amounts of warm. Water served in jelly jars with handles and local art work decorates the walls. We went for breakfast, which is advertised as an all day options. All the standard Americann breakfast options are available on the menu. The omelettes come with a couple of large pancakes,they make a great Denver omelette. The presentation of the food is lacking and so if you are looking for a fine dining experience this is not the place, but the servers were excellent and kept drinks full and deliver the food with a smile. After paying for our breakfast we noticed a tray of very large cinnamon rolls had just come out of the oven. At $2.50 a piece these are certainly an extra to consider. 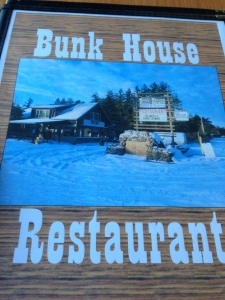 We grabbed one for the road and parked and ate it overlooking the ocean view from Neahakanie mountain. 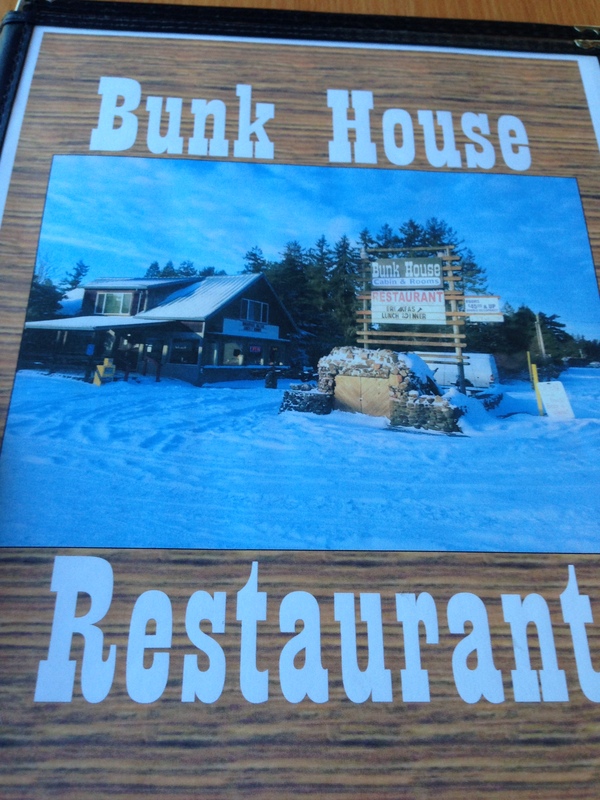 Overall the Bunk House delivers good food at a fair price and a great option for an early morning meal if the wait at Wanda’s Cafe down the road is too long or the drive to cannon beach too far.